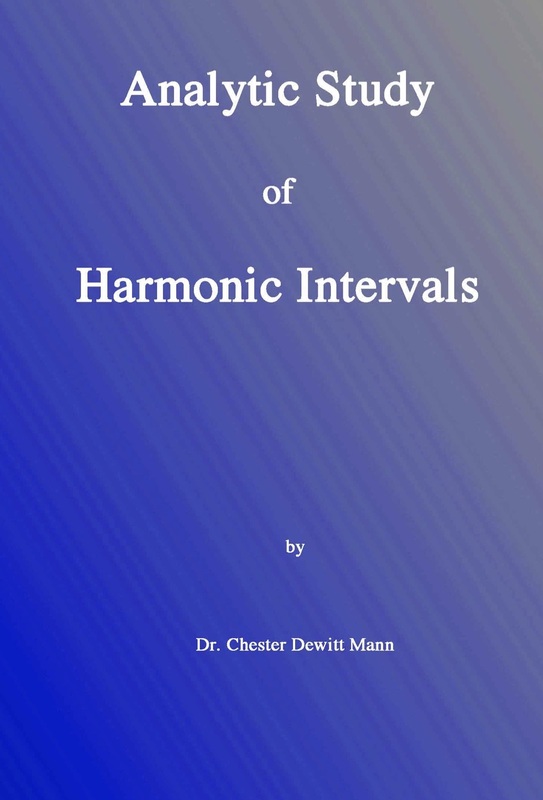 This well written and easy to read and understand detailed analysis of harmonics and partials goes well beyond where Miller, Helmholtz and Tyndall left off. There is a seeming vast mystery in notes, intervals and their interacting harmonics with subtractive (difference) and additive (summation) tones. Dr. Mann delves deeply into this mystery with math and a razor sharp clarity of mind and words. One does not need math to read this book - but it helps. I HIGHLY recommend this book if you are exploring the mysteries of music, sound and vibration. Printed by permission. 8.5" x 11" perfect binding.